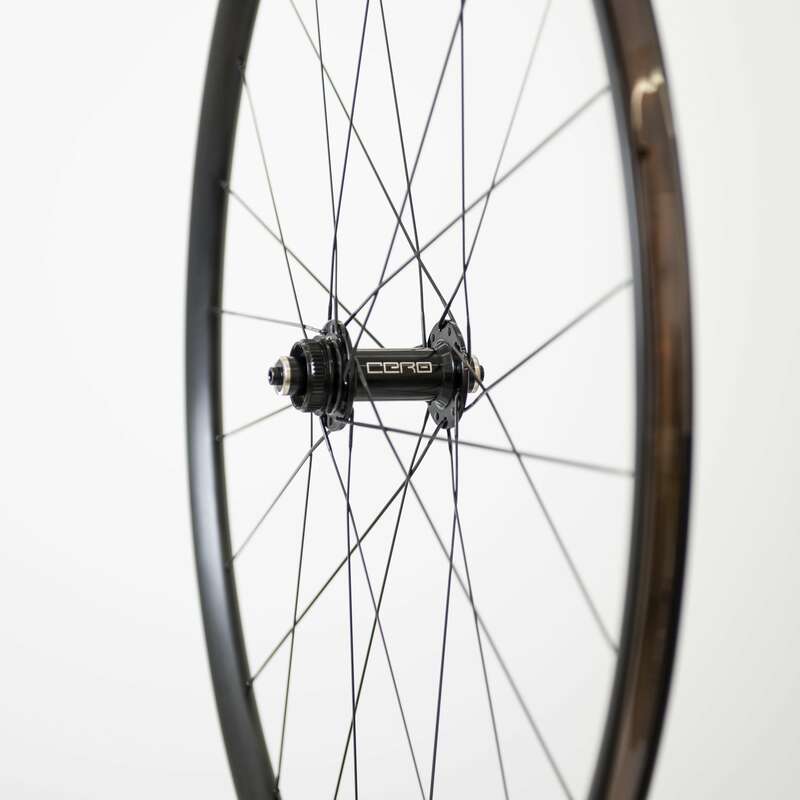 Sharing the same attention to detail as our award winning rim brake wheels and focusing on a balance of lightweight, stiffness and supreme ride quality this wheelset is a great way to decrease your bikes overall weight whilst also improving its durability. -Compatible with Centre-lock disc mount with 6 bolt disc mount (adapters included). 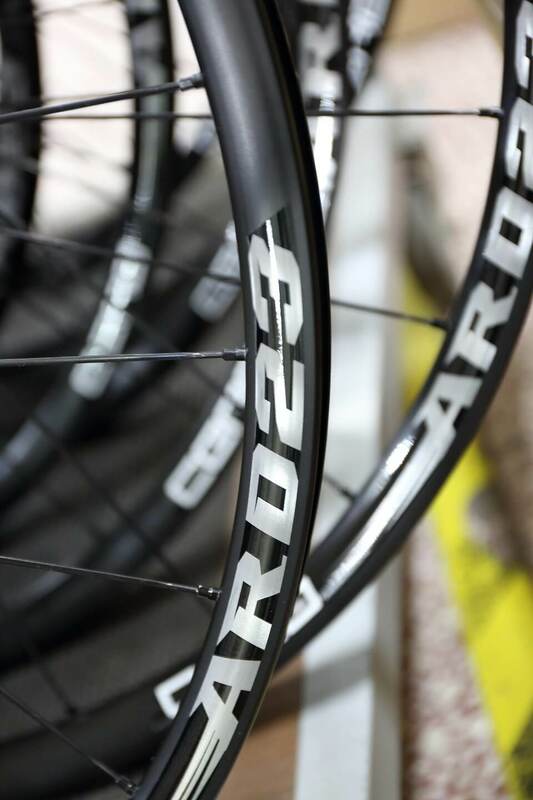 Rim: The Cero ARD23mm rim benefits from a 23mm depth, 24mm width with 19mm internal width ideal for use with 23-34mm tyres. 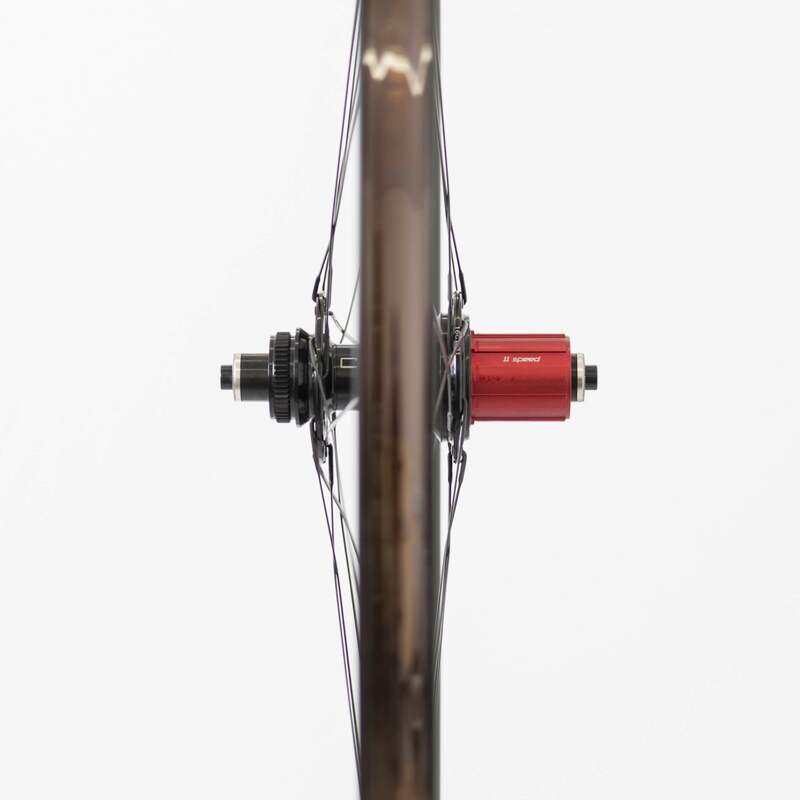 The rim also utilities a 0.5mm off center spoke drilling from the hub center line this technology allows for the use of equally tensioned spokes on both sides of the wheel. 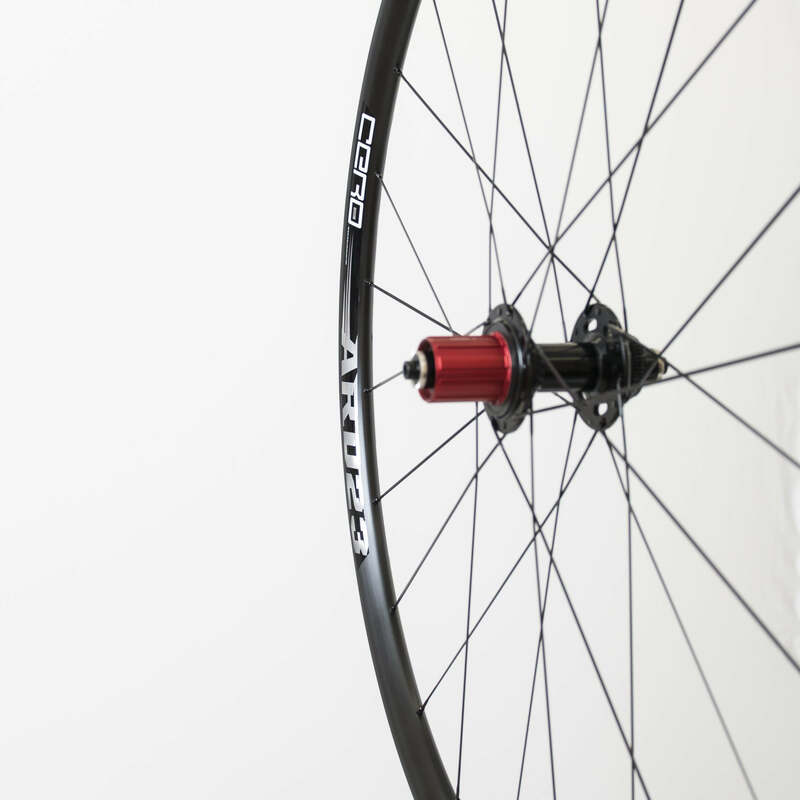 Equal length spokes at equal tension make for a super strong wheel that is perfectly balanced from side to side. The rims are tubeless ready and tape is provided along with our tubeless valve, whether you are planning on running a tubeless tire or not the rim offers excellent performance. 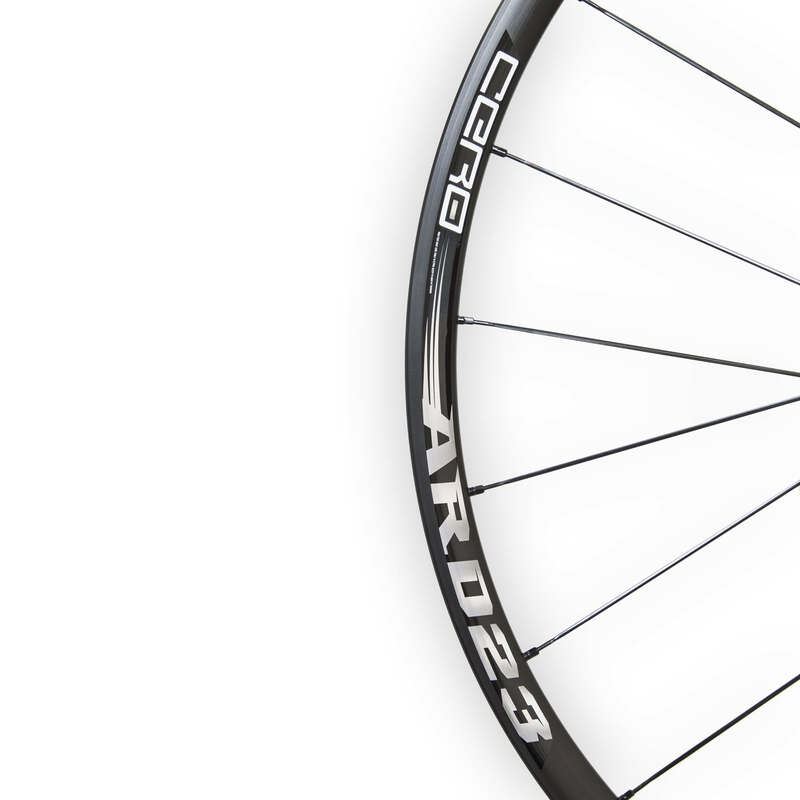 Hub: Our Cero centre lock disc hub is the foundation of the ARD23 wheel, manufactured from 7075 Alloy with 4 high quality sealed bearings, the hub comes provided with a 6 bolt adapter to allow either disc mount option. To allow use with the number of axle standards across the market we ensured the hubs are adaptable to suit your requirements: Front adaptable to thru 12 and 15mm axles or quick release. 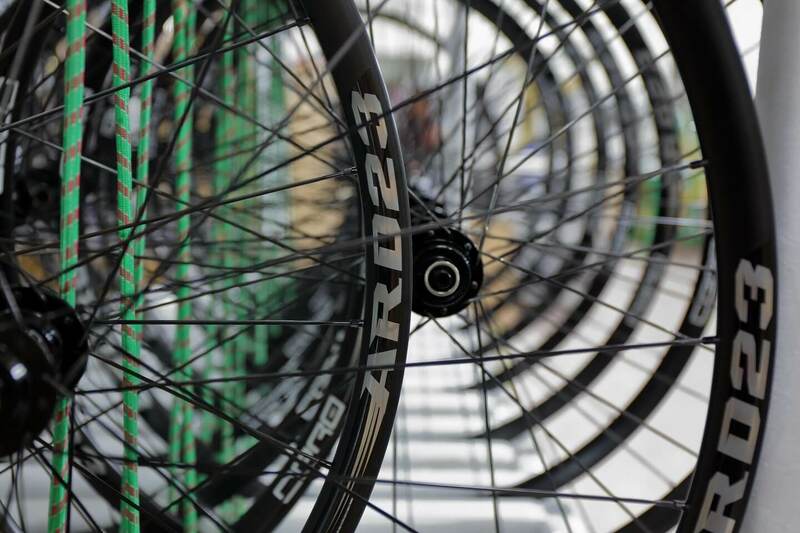 Spokes: As with all of our wheels we don’t compromise on spokes we offer you the best to ensure the build and ride quality of your wheels is as good as can be, we achieve this with the use of the Sapim D Light spoke for the ARD23. Receiving the great results in fatigue testing. Its unique strength and flexibility make the Sapim D Light the perfect choice for our wheel. -Longer lasting than any other spokes on the market. Extremely high fatigue test results. -Produced from high-tensile, fatigue-resistant 18/8 stainless steel conforming to the Sapim quality standard specifications. -*Please note* If you intend to run the wheels as thru axel option please select the endcap adapter size you need for your frame and the 15mm centre lockring from the options listed, these are free adapters we offer to ensure you get the setup you require. Needed a solid set of light wheels for John o Groats to Lands End. After buying a set of Hunt Wheels and not being able to fit the tyres, I settled on a pair of these. Quite simply, a brilliant set of wheels. Tyres go on easy (Conti GP4000s II 28c) and the wheels roll lovely. In the 2 months I've owned them, I've racked up over 1500 miles. They run true, even after hitting a pot hole hard enough to cause a pinch flat. I regularly jump curbs, navigate cattle grids, and use rough gravel tracks. They are light and the difference in ride quality is amazing. Just buy them. A hidden gem. 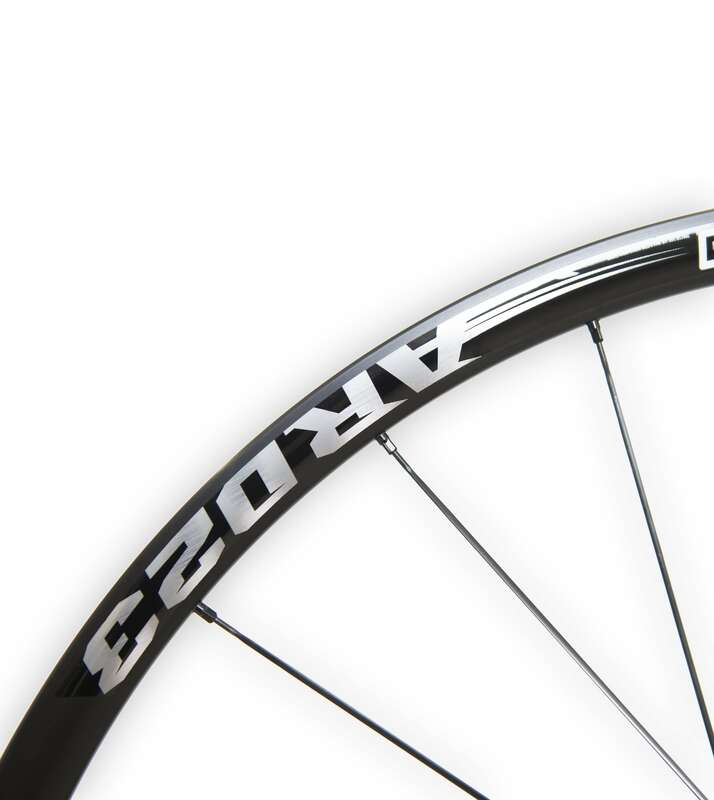 Want to drop half a kilo in weight by ditching your nasty factory wheels without breaking the bank? Fantastic value, I'm kicking myself for not buying 2 sets so I could swap between road and gravel wheels. Maybe the price'll drop a little more to tempt me into a second set!! Purchased these when they were on offer at £285, now wished I'd bought a second pair! Initially used to swap out OE wheels on a Whyte Suffolk using the original tyres and the lower weight was evident straightaway. Swapped the original tyres out to Conti4000 28mm and the ride was improved even more, now running Schwalbe tubeless tyres and have dropped almost a kilo off the original weight. C'mon Cycle Division - let me get a second set at £285 please!! These are my 2nd set of Cero wheels after using the AR30's on my road bike (still going strong after 000's of miles). Bought these AR 23 disc wheels for my Merida CX bike shod them with a pair of Continental 4000, 28mm tyres “these measured 31 once inflated” still rolled like a dream rode them for a few weeks then took them for their test carrying 90kg over 90 miles of Flanders sportive they were pushed hard over cobbled roads and up cobbled hills - brilliant! Still perfectly true. I Would recommend these tyres as an upgrade anytime. Bought these wheels as a upgrade to my stock wheels, after riding them for about 200 miles now I've started to notice a vast improvement especially in climbing. At first was a little disappointed but now very happy and running tubeless is brilliant. Quality wise they are good value for money brilliant as I got them on a special deal, not so sure if I had to pay full price would think there are better options , but like I said on a deal price and free tyres definitely a bargain . the only issue I would say and its not so much about the wheels or cycle divison is they should supply all hub spacers rather than you having to guess what size your frame geometry is i.e. rear hub width. other than that all good . Very impressed by these wheels, they roll very nice and acceleration is a lot better than the Fulcrum Racing 3 I had on my other bike. Great value and price, also customer support is really helpful. These are my 3rd set of Cero wheels after using the AR30's and RC45's on my road bike (both sets are still going strong after 000's of miles). Bought these disc wheels for my CX bike and have been riding them on and off road for a few weeks now - brilliant! They arrived really quickly with great communication throughout from the guys at Cycle Division and all the right adapters, tubeless valves, skewers, spare spokes and the free Continental tyres were included in the box. I set mine up tubeless with Schwalbe X-One tyres and the process was really easy and fuss free. I'm 85kg and been riding the wheels hard on a variety of CX terrain including the usual roots, mud, gravel, etc. Pleased to report they are still running as smooth and true as the day they arrived. They accelerate fast and climb really well due to their low (1495g) weight. I was also really pleased with the look of these wheels when I took them out of the box, the pictures on the website don't do them justice, they look fantastic! 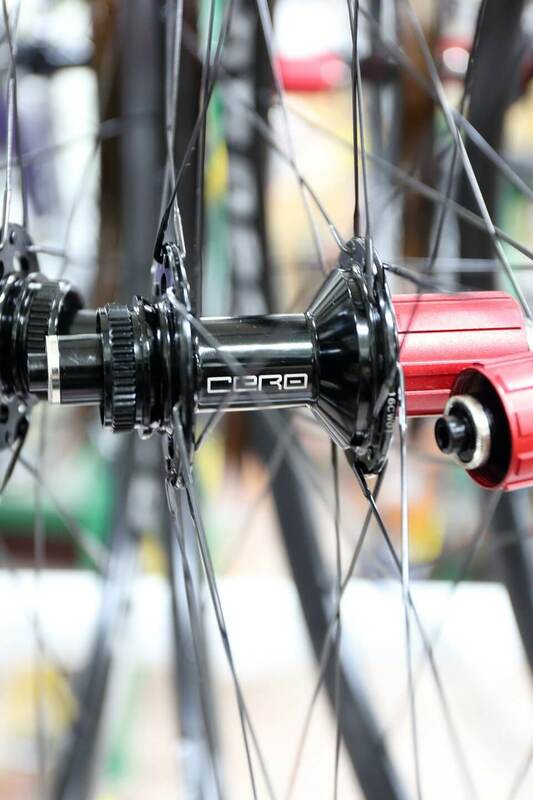 Yet another 10/10 stunning wheelset from Cero! Just done my first long ride on these wheels, really impressed with them. I saved a couple of hundred grams and could feel the difference in performance. The wide rims also help with the shaping of the tyre and the profile of the tyre looks much better, I'm using conti gp 4000 II. All in all I would recommend these wheels at this moment in time but time will tell. 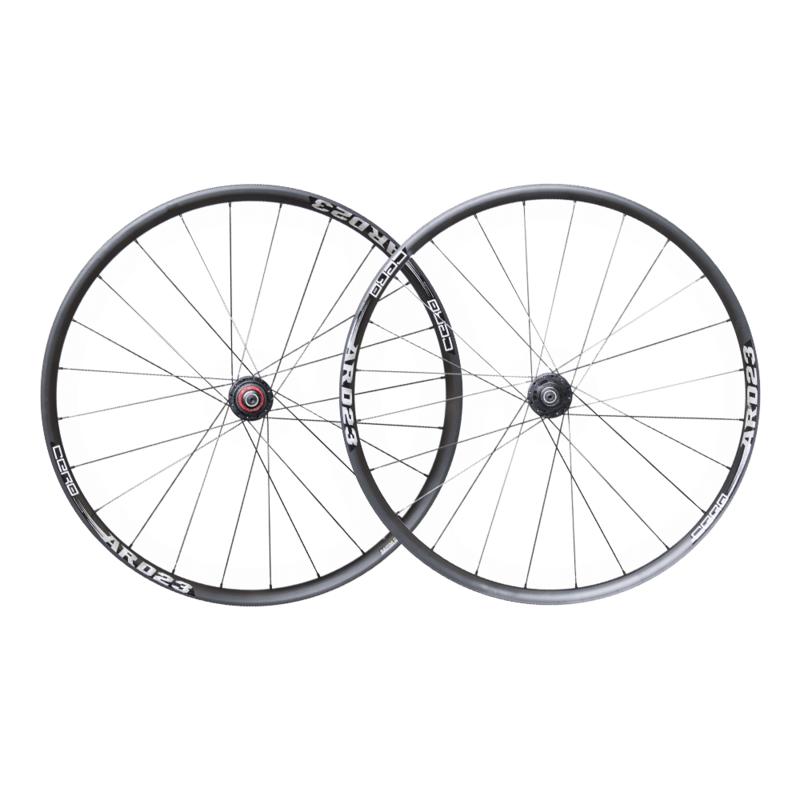 Bought these as soon as they came out having spoken to the guys at Cycle division before, really turned my bike around, the standard disc wheels on my Cannondale Synapse were good solid wheels but a little heavy and didn't feel very lively, saved about 400g with these Cero's and they feel much quicker.